When a paragraph in an evening newspaper reveals a decades-old tragedy, most readers barely give it a glance. But for three strangers, it’s impossible to ignore. 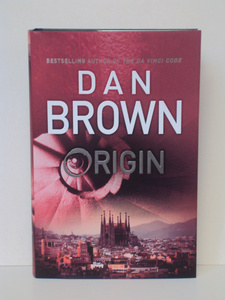 Robert Langdon, Harvard professor of symbology and religious iconology, arrives at the Guggenheim Museum Bilbao to attend the unveiling of a discovery that ‘will change the face of science forever’. The evening’s host is his friend and former student, Edmond Kirsch, a forty-year-old tech magnate whose dazzling inventions and audacious predictions have made him a controversial figure around the world. This evening is to be no exception: he claims he will reveal an astonishing breakthrough to challenge the fundamentals of human existence. Against an enemy who is one step ahead of them at every turn, Langdon and Vidal must navigate the labyrinthine passageways of the city. On a trail marked only by enigmatic symbols and elusive modern art, Langdon and Vidal uncover the clues that will bring them face to face with a world-shaking truth that has remained buried – until now. A double suicide? Or murder? Fifteen years ago in small-town New Jersey, a teenage boy and girl were found dead. Most people concluded it was a tragic suicide pact. The dead boy’s brother, Nap Dumas, did not. Now Nap is a cop – but he’s a cop who plays by his own rules, and who has never made peace with his past. Daniel ‘Mac’ MacCormick has a good life. Aged thirty-five and a decorated US Army veteran, he whiles away his life in stunning Key West, Florida, running forty-two-foot charter fishing boat The Maine. A ladies’ man and rule-breaker, Mac has it all – apart from the money to hold on to his beloved boat. Then Mac is approached by a hotshot Miami lawyer called Carlos with an apparently irresistable offer: a fee of $2 million to run the boat into Havana and smuggle out $60 million from a stash hidden from the Castro government – cash once owned by the family of a beautiful Cuban-American woman named Sara Ortega. With the political ‘Cuban Thaw’ underway, it’s only a matter of time before someone finds the stash. But Mac knows if he accepts this job, he’ll walk away rich … or not at all. 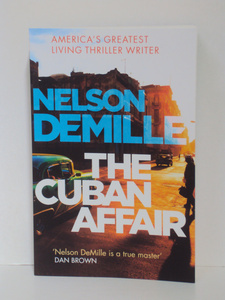 Strap in for a ride full of tension, set in simmering Havana on the eve of Fidel Castro’s death – this is the blistering new novel from America’s greatest living thriller writer, Nelson DeMille. 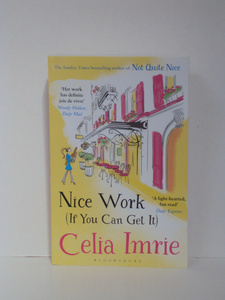 Evie Flynn has always been the black sheep of her family – a dreamer and a drifter, unlike her over-achieving elder sisters. She’s tried making a name for herself as an actress, a photographer and a singer, but nothing has ever worked out. 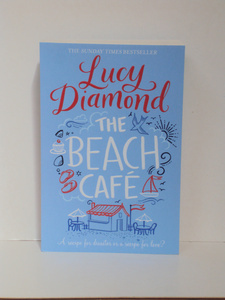 Now she’s stuck in temp hell, with a sensible, pension-planning boyfriend. Somehow life seems to be passing her by. 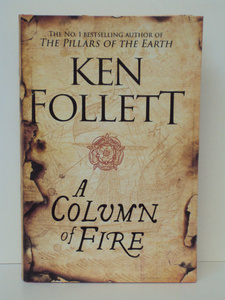 The saga that has enthralled the millions of readers of The Pillars of the Earth and World Without Endnow continutes with Ken Follett’s magnificent, gripping new story. Then Elizabeth Tudor becomes queen and all of Europe turns against England. 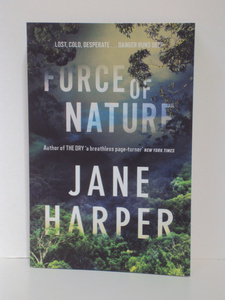 The shrewd, determined young monarch immediately sets up the country’s first secret service to give her early warning of assassination plots, rebellions and invasion plans. Elizabeth knows that alluring, headstrong Mary Queen of Scotrs lies in wait in Paris. Part of a brutally ambitious French family, Mary has been proclaimed the rightful ruler of England, with her own supporters scheming to get rid of the new queen. What has happened to Alice Russell? Federal Police Agent Aaron Falk has a keen interest in the whereabouts of the missing bushwalker. Alice Russell is the whistleblower in his latest case. 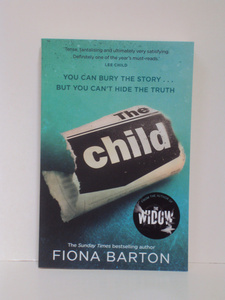 She knows all the secrets: about the company she works for and the people she works with. Far from the hike encouraging teamwork, Falk is told a tale of violence and disintegrating trust. 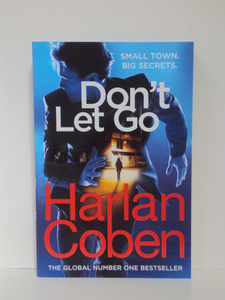 And as he delves into the disappearance, it seems some dangers run far deeper than anyone knew. September 1938. Hitler is determined to start a war. Chamberlain is desperate to preserve the peace. The issue is to be decided in a city that will forever afterwards be notorious for what takes place there. Munich. 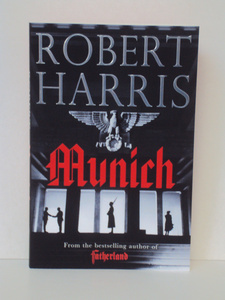 As Chamberlain’s plane judders over the Channel and the Fuhrer’s train steams relentlessly south from Berlin, two young men travel with secrets of their own. Hugh Legat is one of Chamberlain’s private secretaries; Paul Hartmann a German diplomat and member of the anit-Hitler resistance. Great friends at Oxford before Hitler came to power, they haven’t seen one another since they were last in Munich six years earlier. Now, as the future of Europe hangs in the balance, their paths are destined to cross again. Tucked between glitzy Monte Carlo and the red carpets of Cannes, Bellevue-Sur-Mur seems like the perfect place for an enterprising band of inhabitants to open a restaurant. Happily exiled from demanding families, they have found peace and Provencal cooking in the cobbled streets and azure vistas of their new home. But all is not as rosy as it seems, for it soon becomes clear that someone is trying to sabotage their project. Peter Guillam, staunch colleague and disciple of George Smiley of the British Secret Service, otherwise known as the Circus, has retired to his family farmstead on the south coast of Brittany when a letter from his old Service summons him to London. The reason? His Cold War past has come back to claim him. Intelligence operations that were once the toast of secret London are to be scrutinized by a generation with no memory of the Cold War. Somebody must be made to pay for innocent blood once spilt in the name of the greater good. 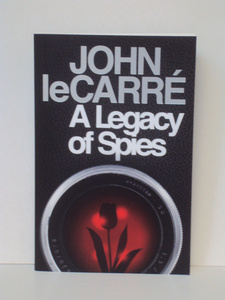 Interweaving past with present so that each may tell its own story, John le Carre has given us a novel of superb and enduring quality.